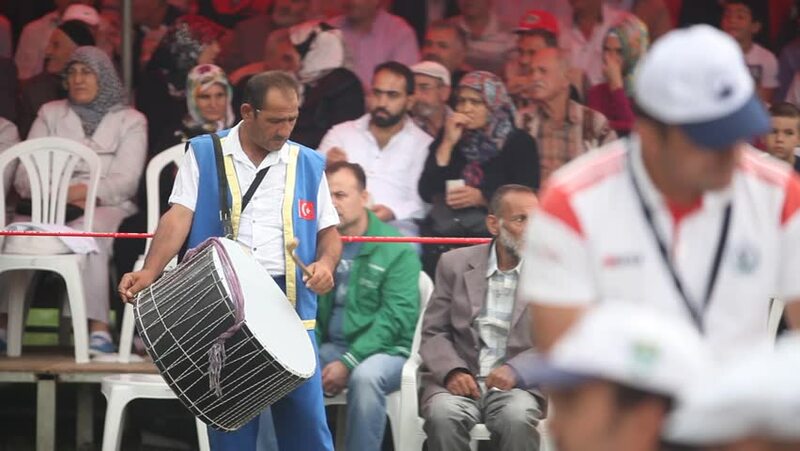 BURSA, TURKEY - MAY, 2105: Turkish traditional drummers, beats the drum in a traditional greased wrestling sport festival. Audience sits and claps at the back. hd00:09TOKYO, JAPAN - CIRCA MAY 2014: People walking in Tokyo, Japan.